Hi everyone, it's October and that means Halloween is coming. 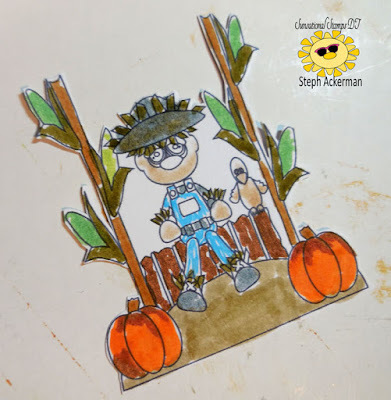 I'm on the Sunsational blog today with this Cornfield Scarecrow. I colored the image with Zig markers, then fussy cut it. 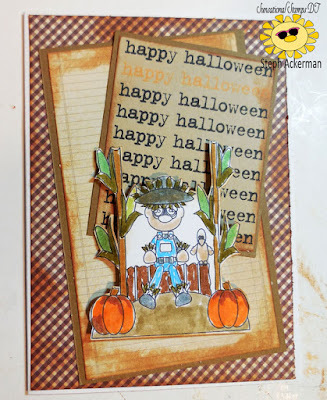 I had some fun Halloween paper in my stash which I layered with cardstock. 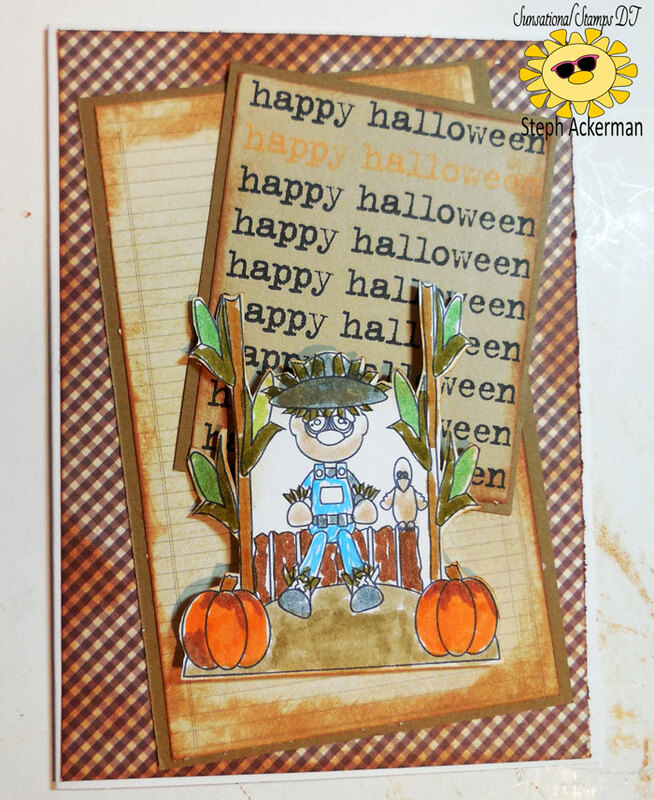 For a rustic effect to coordinate with the image, I used distress inks on my papers which I then added to my card.